Burns in the home or workplace are among the most common types of personal injury and among the most serious. Burn injuries are not only physically debilitating but can cause emotional and mental trauma as well. There are four main sources of burn injuries: heat, chemicals, electricity, and radiation. Burn injuries can range from the mild to the severe, including extreme cases that may cause death. Defective equipment and countless failed warning systems such as alarms and smoke detectors. A burn injury can happen anywhere. Some burn injuries may occur in the kitchen, in a car accident, truck accident, motorcycle accident, during a restaurant mishap or in a workplace accident. A burn injury can change your life. Understanding the cause of the burn injury is important since it can be a factor in determining the severity of the injury and if someone else is at fault for the injury. If you or a loved one has suffered a burn injury due to another person's negligence, you need an experienced legal team on your side. The path to recovery or returning to a normal life following a major burn injury is extremely difficult. An experienced Chicago burn injury lawyer like ours at Nemeroff Law Offices can help the burn victim recovery financially what they have lost. 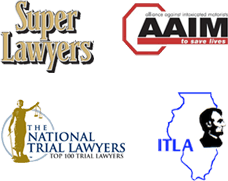 Our Illinois and Chicago Burn injury attorneys are prepared to help you with the legal matters following a burn injury. The personal injury and wrongful death lawyers at Nemeroff Law Offices represent many victims who are injured or killed by the negligence of others. We will help you recover the money damages you or your family is entitled to.